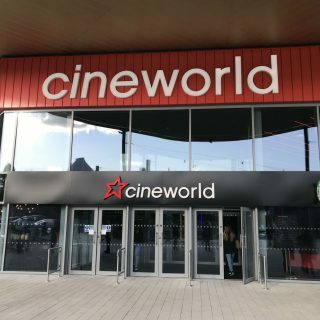 Rosie O’Brien guides us around her favourite places in Oakwood, part of our Out of Town series. Things in Oakwood are buzzing. 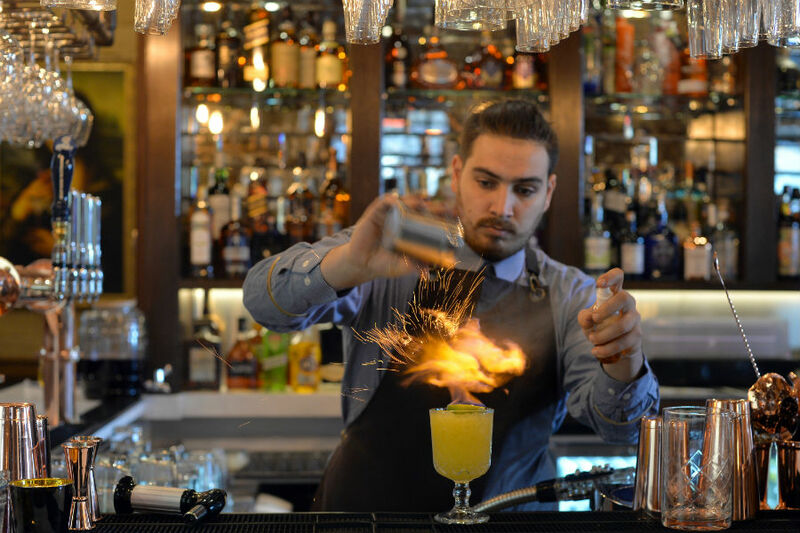 There’s no other way to put it – so many new cool spots have popped up over the past year that this little village on the outskirts of Leeds has taken on new life, and a new crowd of bright young things from the City Centre along with it. 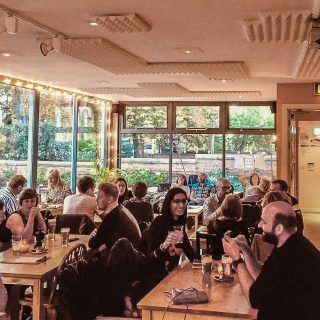 Here are some of the best spots making Oakwood ready to take on Chapel Allerton as the new hip weekend hangout spot. Stew and Oyster. All photographs by Stan Graham. 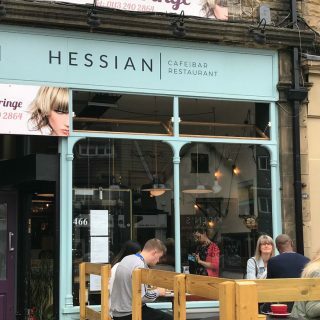 Not new, but a firm favourite for its laid-back style, the perfect spot to chill out of a Saturday or Sunday afternoon and drink some craft beers over a board game or two. The aforementioned stews that give the pub its name are always excellent, and change seasonally – my personal favourite? The chicken and dumpling. Though for something a little different the Thai pork belly is also excellent, and comes with rice on the side. I can’t say I’ve ever actually seen or known anyone to order the oysters, but if you’re feeling that way inclined they’re freshly delivered and served in a multitude of different ways, including naked, tangy (with orange, lime & ginger syrup), and Glenfiddich. Best seats in the house? Grab the sofas by the window if you can, or failing that one of the window tables upstairs – they’re cool in summer, cosy in winter, and you always get a lovely view of Oakwood clock. 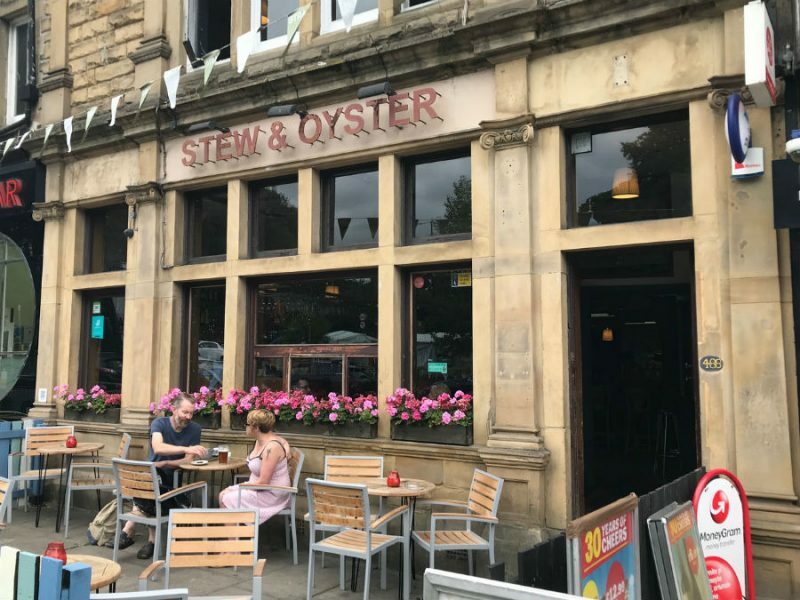 Stew & Oyster is open Mon-Thurs 12pm-11pm; Fri-Sat 12pm-12am; Sun 12pm-10:30pm. 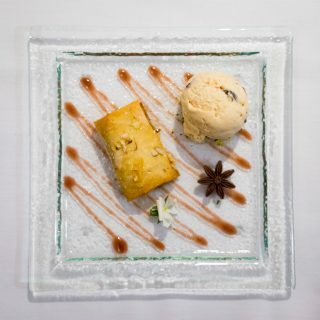 Food served 12-9pm every day. No recent opening was as hotly anticipated as Sylva. Café by day and bar by night, it’s certainly the most impressive building on the scene. Tucked away just between Oakwood Clock and Princes Avenue (leading up to Roundhay Park) the striking venue is split across two floors, not to mention the numerous balconies with views across the park to enjoy. 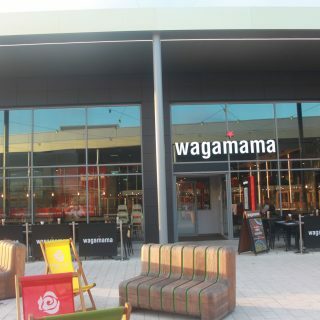 The café is open during the day on the ground floor, then the bar takes over during the evening, with a couple of hours overlap around lunchtime – though there is a gap between 4pm and 6pm when the kitchen is closed. They’re dog friendly – so perfect for an afternoon pick me up post (or during) dog walk. 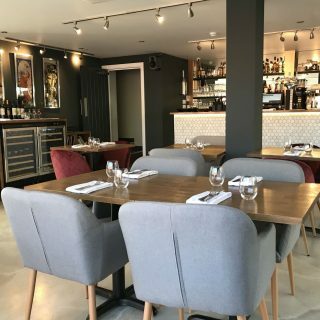 The deli menu includes dishes like truffled gouda and wild boar, and the drinks list offers the likes of Tattinger champagne alongside a curated list of craft gins. 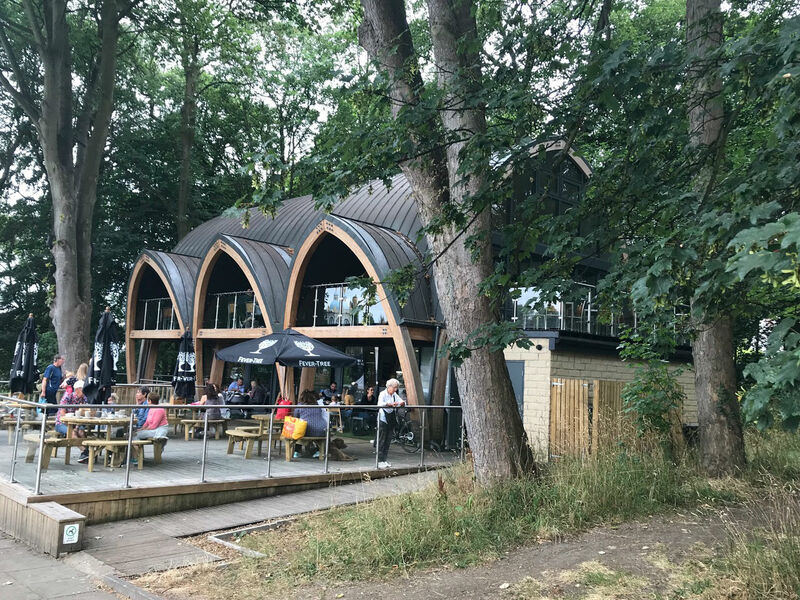 Sylva’s Café is open Mon-Fri 8am-4:30pm, Sat 9am-4:30pm, Sun 10am-4:30pm; Sylva’s bar is open Tues-Thurs 12pm-11pm, Fri-Sun 10am-11pm, with food served 6pm onwards. 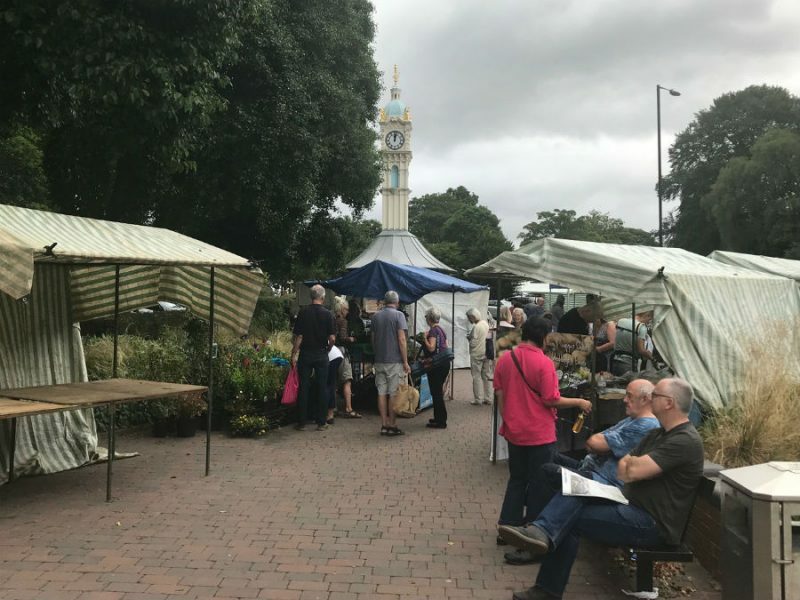 A fixture of the Oakwood social scene for nearly a decade, the Farmers Market is a chance to buy the best produce directly from local suppliers. It’s a truly lovely way to spend a time dreaming of life in the country, operates year-round, and is run entirely by volunteers. 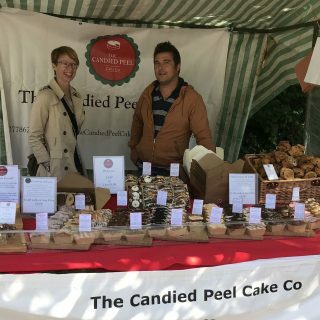 There are regular stalls who return each time, from which you could definitely do a full grocery shop – including Swillington Organic Farm meats, Church View Eggs, and Hebdens Whitby Fish. Guest stalls vary by month, but they’re always local and delicious. If Wildflower Bakery are there with their cupcakes, do yourself a favour and get one of the Reese’s flavour. It has a gooey peanut butter centre that’s just to die for with a hot cup of coffee. Since moving up North I have been endlessly told that the fish and chips up here are the best, but I have to say I’ve been pretty adamant that nothing beats the village fish and chip shop back home. That was until I tried Oakwood Fisheries. 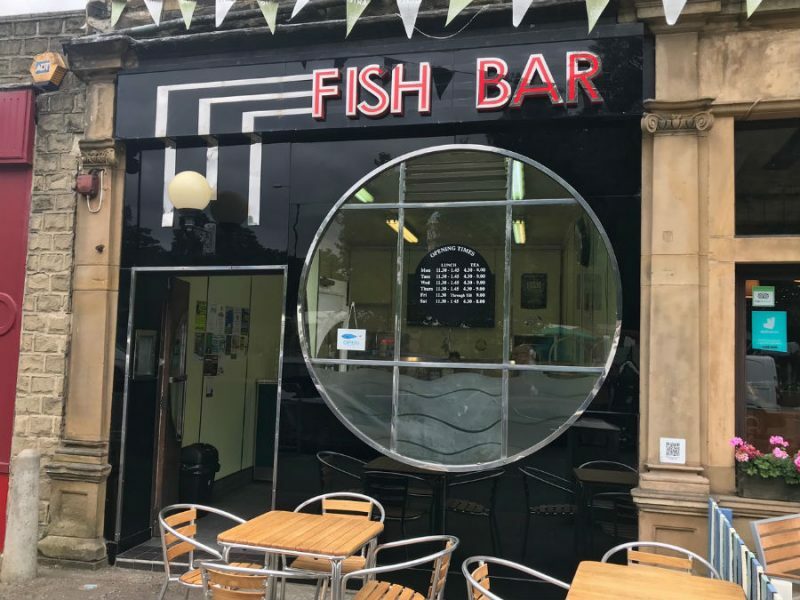 To the detriment of my waistline, it’s within walking distance of my house and sinfully delicious – the batter perfectly crisp, the fish inside lovely and flaky, and the chips crispy on the outside and fluffy in the middle. It really is the very best take on the English staple that I’ve had anywhere in Leeds, and trust me I’ve sampled a fair few. Just to top it off you can get a great gherkin on the side – always a bonus in my eyes. 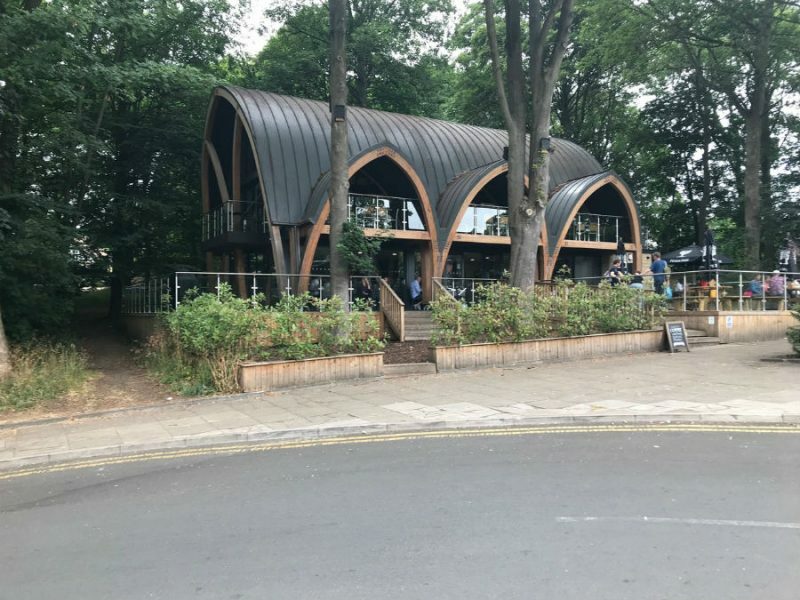 As you might have guessed, the highlights of Oakwood (beyond the beauty and countryside feel of the place) tend to be opportunities for eating and drinking. 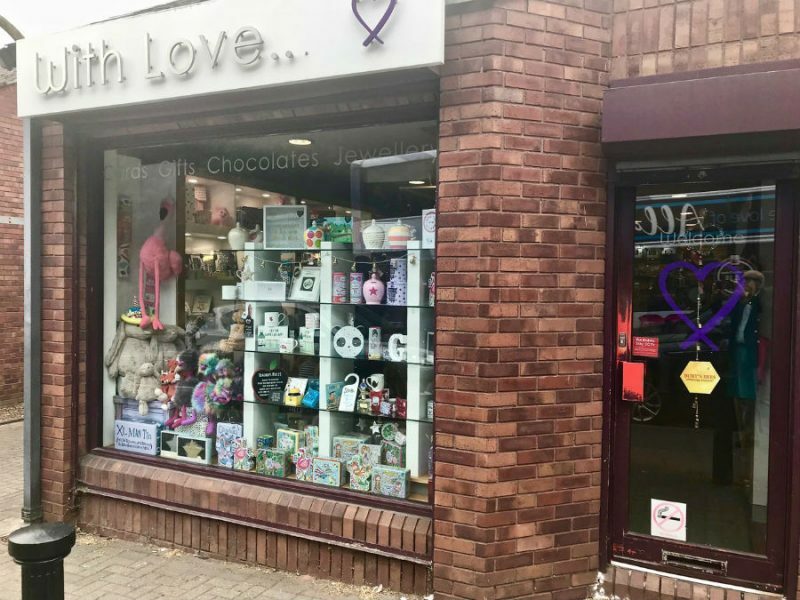 With Love is an exception, a lovely little store full to the brim with a particularly large range of beautiful cards, as well as lovely gifts – to treat yourself or others. On the left hand of the shop to the side of the counter, almost unexpectedly, is a case full of beautiful jewellery – silver pieces that would make gorgeous presents.